Today I have the honour of being part of Justine Hovey’s ‘Save The Crafty YouTuber’ video hop. 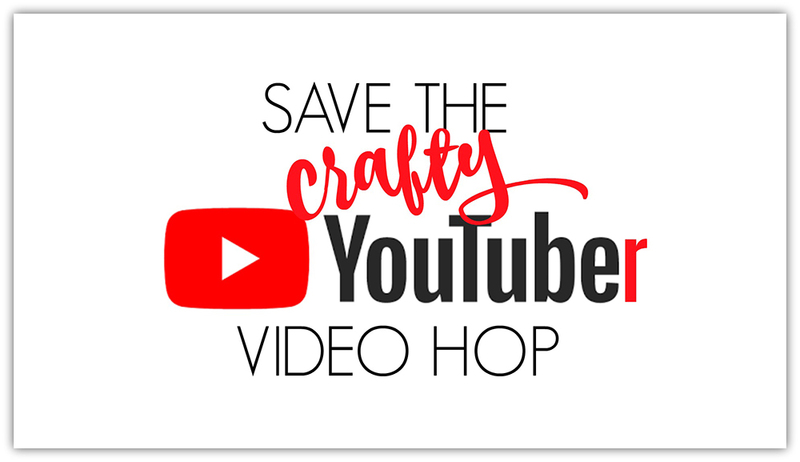 All week there are FIVE whole days of video hops, where you can kickstart your creativity as you watch a selection of different crafters from all over the globe, each with different styles and crafting levels. A lot of work goes into creating video content, and YouTube regulations have changed which makes it harder to get noticed and harder to reach monetization goals. 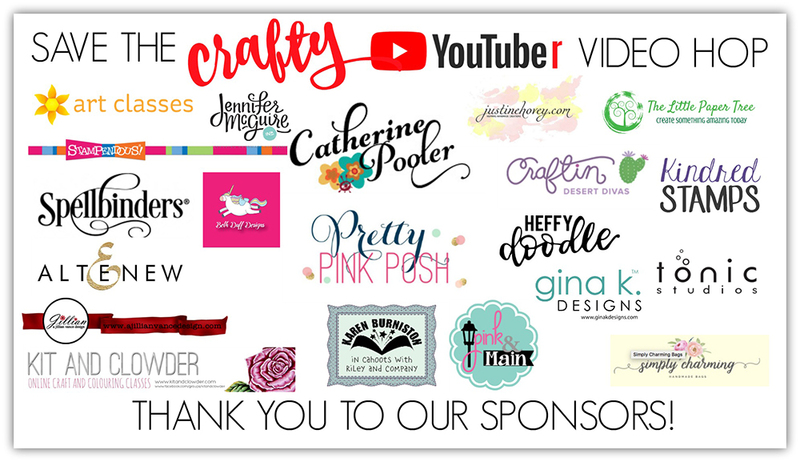 So why not hop along, get inspired, and maybe even subscribe to some new crafters who you like the look of. 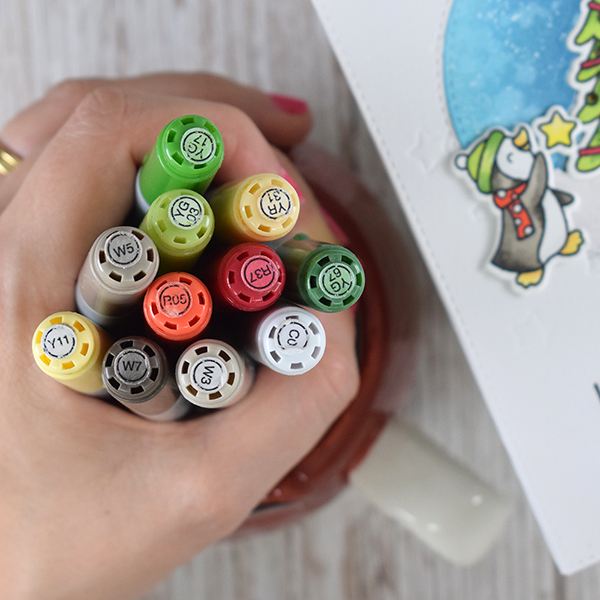 Not only can you get lots of inspiration, but you get the chance to WIN CRAFTY GOODIES! Check out the wonderful sponsors below, and when you leave a comment please note whether you are in the USA or international, as some prizes have got shipping limitations. My video is a longer video tutorial which focuses on creating a twinkly light up Christmas tree using Chibitronics lights. 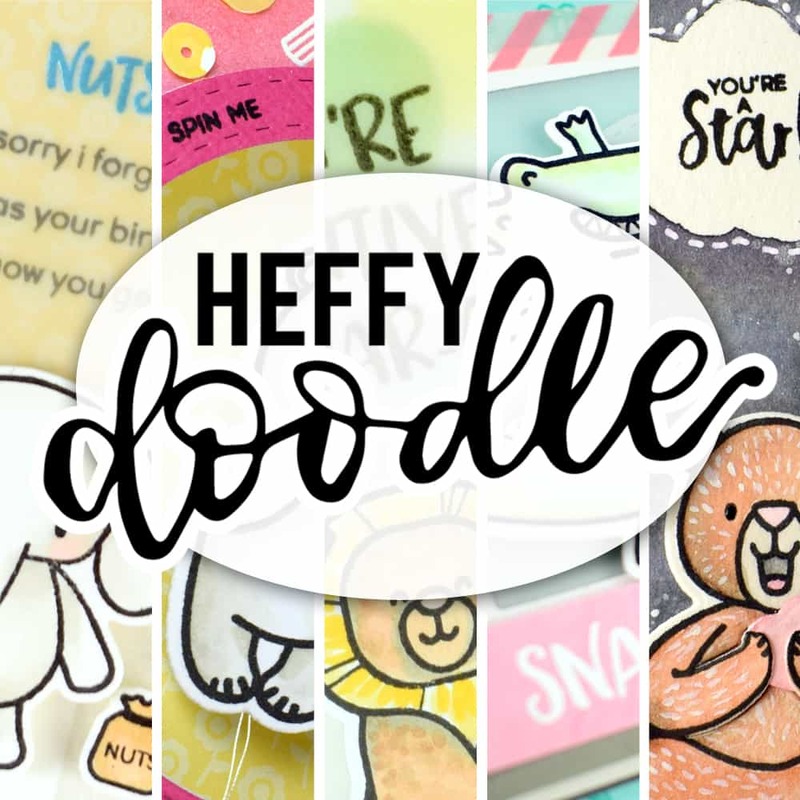 I am using a selection of Heffy Doodle products to create this project, a full list is displayed at the bottom of this blog post. Here is the video, and scroll down for more photos. For this card I used the Heffy Doodle Imperial Stitched Rectangle dies, Heffy Doodle Stitched Circle Dies and the Heffy Doodle Holiday Sentiment Duos stamps. I then embossed my card panel using the Heffy Doodle Stargazer background and a tan embossing mat. Can you see those stars on the backgroun – don’t they look awesome? For the main focal area, I used the tree and penguins stamps from Heffy Doodle’s Wanna Build A Snowman set. Isn’t is adorable? I stamped the tree on the circle die cut, then inked around the outside with Distress oxides and inks in blue tones. I splattered it with water and then added some snowfall by flicking some copic opaque white ink on there. I also added a snow drift by using the Heffy Doodle Slopey Joes Border dies. I simply had to use some holographic embossing powder on there to make it sparkle! My penguins and trees I coloured with copics, but I don’t show this on the video as i wanted to focus on the Chibitronics Circuit. I walk you through exactly how to make the circuit in the video, and don’t be daunted, its easier in real life. It is harder finding the words to explain it compared to actually making it! HA! 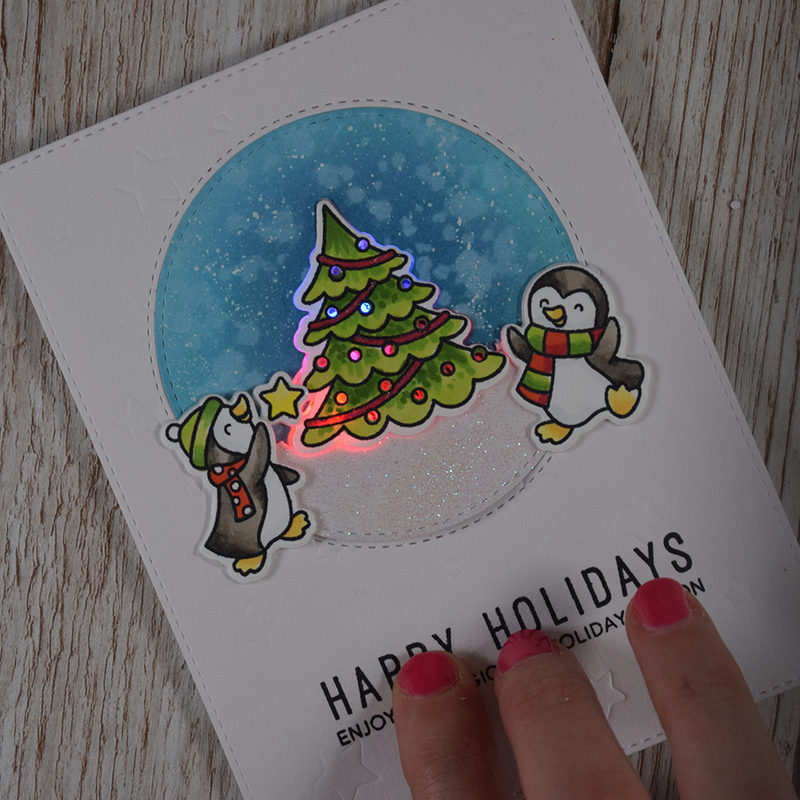 I built the circuit on the top of a card base, and the magic is this — when you slide your finger across the sentiment on the card, then the tree lights LIGHT UP! But as you slide, they twinkle on and off in different colours! IT’S SOOO COOL!! I decided to use a red, blue and white light. Normally I like white lights, but hubby is ALL about the multi coloured fairy lights! So, why not have both?! To be in with a chance to WIN CRAFTY GOODIES as part of this hop, simply leave a comment on the VIDEO on YouTube. Why not tell me what lights you like on your Christmas tree? Don’t forget to also add wheter you are based in the USA or Internationally based. To follow on the hop – look at the info box under the video in YouTube to see the NEXT VIDEO in the hop. The more you comment, the more chances you have of winning. Remember this is a 5 day event, so come back each day to hop, comment and be inspired! 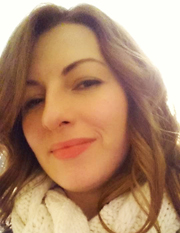 To find out more about the hop – visit Justine’s blog here. For those of you who are new here, I just wanted to mention that on Fridays I usually turn on my video camera and get crafty, LIVE on YouTube. 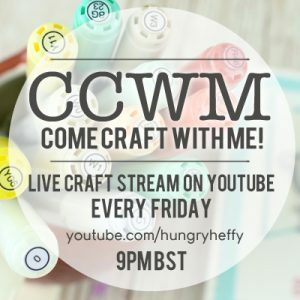 I would love you to join me for my ‘Come Craft With Me’ LIVE crafty sessions – we have lots of fun chatting, creating and often have giveaways and other fun stuff. It’s 9pm UK time. Tonight is our last session on British Summer time as the clocks go back this weekend, so we will be back on Grenwich Mean Time next week. Check here to find out what time that is with you. Very nice card. I like the colourful lights.